Communicating Excellence run two courses for you to attain your Clinical Hypnotherapy Diploma. The shorter course requires you already have an NLP Practitioner certificate. Courses are held in Newcastle upon Tyne and North East England. If you do not yet have an NLP Practitioner certificate Clinical Hypnotherapy Training starts in January ( 12 day NLP ), April or August ( 9 days NLP ) and begins for full last weekend in August. An NLP Practitioner training provides the foundation skills for the 10 day August to December Clinical Hypnotherapy training. Click here for NLP Practitioner training. If you already hold an NLP Practitioner certification the Clinical Hypnotherapy Diploma training in Newcastle begins in August each year. 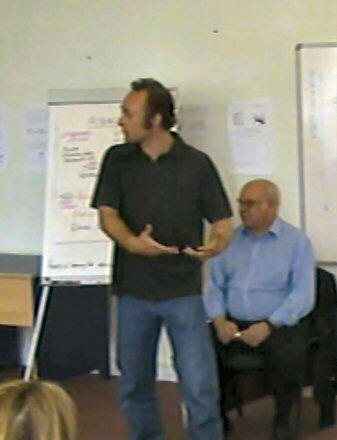 The longer course is equivalent to doing an NLP Practitioner plus the short course. Whichever route you choose our Hypnotherapy Diploma course is both recognised and validated by the General Hypnotherapy Standards Council and The Society Of NLP. There is additional self directed study outside the course to attain full GHR status. It also means you WILL NOT be reading scripts to them because you will be really conversant in hypnotic language patterns and acting fully in the role of a Professional Hypnotherapist so this way your attention will be focused in the correct place – your client. Whichever course you choose to do will cover both direct and indirect suggestions with an emphasis on Ericksonian Language Patterns, Advanced Calibration, New Code NLP and Clean Therapy where client ecology is paramount. All training course take place in clean, warm purpose built training venues in good neighbourhoods with ample safe parking. For those with a NLP Practitioner certificate, a weekend per month over the 5 month duration. Maximum of 16 participants. You can book your place on-line now with a non-returnable £150 deposit, the remainder of the cost is to be paid 2 weeks before the course begins. If you should happen to miss your start date, your deposit and course fees will move to the next available course. Additional Benefits In addition the Hypnotherapy Diploma course includes help and advice for starting up your own business after graduation as well as complementary supervision after starting your own business. Graduates may use the term Clinical Hypnotherapist and the initials Dip.Hyp after their name and are eligible and encouraged to join the General Hypnotherapy Register ( with additional self directed study ) and set up a practice as Qualified Registered Hypnotherapists. Joining the GHR entitles you to use GHR.Reg and NRH after your name as well as receiving newsletters and belonging to a world acknowledged and extremely helpful organisation. Front Line Skills over 5 months – Investment £645 Having already attained you Hypnotherapy Diploma consider ‘Front Line Skills‘ course which is an advanced course for practising hypnotherapists who choose to commit to continuing training and excellence in their practice.